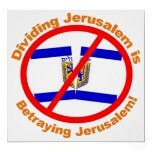 Against Zionism? Zionists? Israel? Jews? En Jezus/Yeshua zeide: "want allen, die naar het zwaard grijpen, zullen door het zwaard omkomen." ps. Denk ook aan 'het zwaard van de Islam'! 22 Tisjri. Dit feest sluit het Loofhuttenfeest (Soekot) af. Men bidt om regen in de hoop op een vruchtbaar jaar. Letterlijk betekent het: 'de achtste dag van het samenkomen'. Op zich is zeven dagen al genoeg, maar het is voor God moeilijk om afscheid te nemen, daarom blijven de joden nog een dagje. De tijd die men hiermee kreeg wordt van oudsher gebruikt om te bidden voor extra regen zodat straks alles zal gaan groeien en bloeien. 23 Tisjri. Simchat Tora is een vrolijke viering waarbij gedankt wordt voor de Tora (de Wetten), de eerste vijf boeken van de joodse bijbel. In de synagoge leest men eerst het laatste hoofdstuk van de Tora en daarna gaat men meteen verder met het eerste hoofdstuk. Dit geeft aan dat het lezen uit de Tora nooit stopt. Degene die het laatste hoofdstuk leest, wordt Bruidegom van de Wet, Chatan Tora, genoemd en degene die het eerste hoofdstuk leest, heet Bruidegom van het Begin, Chatan Bereesjiet. Tijdens de dienst worden ommegangen, hakafot, met de Torarollen gemaakt. Met de Tora op de arm gaat men dan al dansend door de synagoge. Ook kinderen doen hieraan mee. De allerkleinsten worden door hun vader op de schouders gedragen. De negende en laatste dag van Soekot is het Simchat Tora (ook: Simhat Torah). Beleidende joodse mensen lezen elke week een flink stuk uit de Tora ('de wet', deze bevat de eerste vijf boeken uit de bijbel). Op deze dag is de hele Tora (neergeschreven op boekrollen) doorgelezen en doorgeleerd en begint men in de synagoge weer opnieuw. Of beter gezegd: de Tora wordt verder gelezen, want elke keer kom je weer nieuwe dingen tegen. Dit gaat gepaard met een uitbundig feest waarbij de Tora, gehuld in een feestelijk kleed en versierd met zilver en juwelen, dansend wordt rondgedragen in de synagoge. Alle kinderen (ook jonger dan 13) zijn dan welkom, zij zwaaien met vlaggetjes en over hun hoofden worden (als onder een huwelijksbaldakijn) gebedsmantels uitgestrekt. Na afloop worden bruidssuikertjes uitgedeeld. Simchat Tora heeft een middeleeuwse oorsprong. 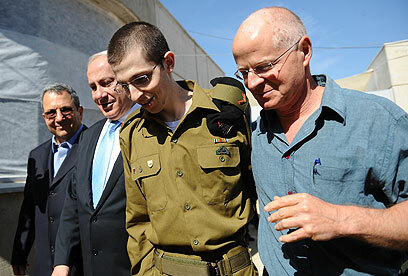 Gilad Shalit is weer thuis! 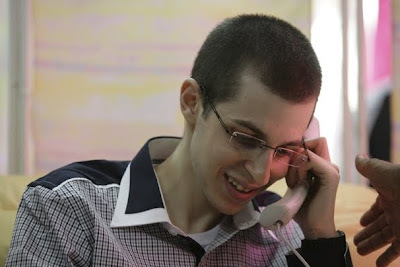 Na meer dan vijf jaar te zijn gegijzeld door de terroristen van Hamas in Gaza, is Gilad Shalit thuis bij zijn familie in Israël. Zijn vrijlating kostte een hoge prijs, omdat Israël meer dan 1.000 Palestijnse terroristen moest vrijlaten, velen met 'bloed aan hun handen'. 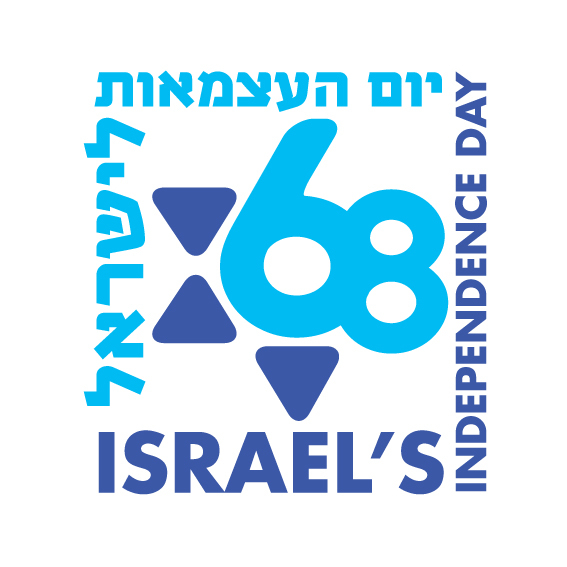 Toch bleven dinsdag niet veel ogen droog in Israël toen de natie keek naar ontroerende de scène van Gilad die zijn vader Noam Shalit omhelst, die onvermoeibaar op internationaal niveau heeft geijverd ten behoeve van zijn zoon. Nadat Shalit dinsdagochtend vroeg was overgebracht naar de Egyptische Sinaï, kwam hij zuid-Israël binnen via de Kerem Shalom grensovergang. Hij werd er gecontroleerd door artsen van het Israëlische leger, die verklaarden dat hij in goede gezondheid is. 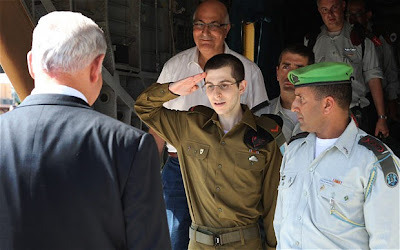 Vandaar werd Shalit naar de Tel Nof luchtmachtbasis gevlogen voor een ontmoeting met premier Benjamin Netanyahu en andere functionarissen en militaire leiders, en met zijn gespannen wachtende ouders. Later op de dag keerde de familie terug naar hun huis in Mitzpe Hila in het noorden van Israël. Dank aan iedereen die in volhardend gebed zijn gebleven voor Gilad's vrijlating! Today, October 12, at sunset begins Sukkot, a weeklong holiday celebrating the yearly cycle of biblical observances found in Leviticus 23. The feast ends at sundown, Thursday, October 20 with a special Sabbath. 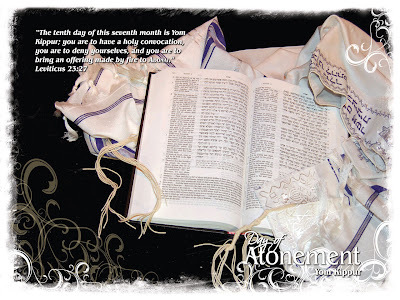 The day is called Shemini Atzeret, or the Eighth Day Assembly, from Leviticus 23:34. 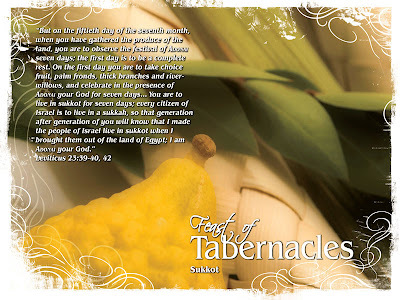 Also known as the Feast of Tabernacles or the Feast of Booths, Sukkot is the third of the pilgrimage feasts when all the men of Israel were called to Jerusalem to the Lord’s presence: “Three times a year all your men must appear before the LORD your God at the place he will choose: at the Festival of Unleavened Bread, the Festival of Weeks and the Festival of Tabernacles” (Deuteronomy 16:16). Much preparation goes into this holiday after the somber and reflective Days of Awe—the Feast of Trumpets and Yom Kippur, the Day of Atonement. This is a festival of rejoicing, celebrating God’s goodness and sharing hospitality. "Celebrate the Festival of Tabernacles for seven days after you have gathered the produce of your threshing floor and your winepress. Be joyful at your festival—you, your sons and daughters, your male and female servants, the Levites, the foreigners, the fatherless and the widows who live in your towns. For seven days celebrate the festival to the LORD your God at the place the LORD will choose. For the LORD your God will bless you in all your harvest and in all the work of your hands, and your joy will be complete." Throughout Jerusalem, as well as among observant Jewish homes and many Messianic families, a sukkah (small temporary shelter), often elaborately decorated is built in backyards, in communal areas, and on patios as a way to experience the joyous seven days of “dwelling in booths.” Meals and entertaining take place in the sukkah, and often the fathers and sons will sleep in it. The roof is covered loosely with materials such as palm fronds that allow the night sky to be seen—a reminder of the Israelites’ journey from Egypt when God guided them by a column of smoke by day and a pillar of fire by night. 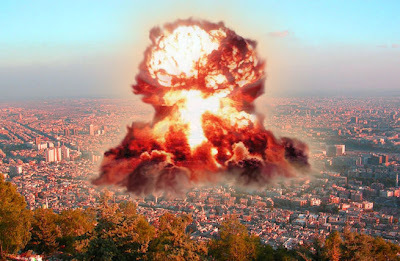 The Jewish People during Old Testament times dwelt in simple tabernacles so that when the cloud moved by day or the pillar of fire moved by night they could follow. The pillar and cloud represented the presence of God. As the Jewish People continue to dwell in booths to commemorate God’s faithfulness and miraculous preservation when they wandered in the wilderness for 40 years, we can pray for many Jewish hearts to seek Him during this time of crisis for Israel, remembering He is their hope and strong tower. And as followers of Yeshua, we can also learn from this example. We too are sojourners, holding loosely to the things of this world, so that when the Lord moves, we are prepared to move with Him and trust Him for our protection and provision. The word booth is synonymous with tabernacle, and similar to the word John used when he wrote that Jesus became flesh and dwelled, or tabernacled, among us (John 1:14). When Yeshua came, He literally tabernacled among us. 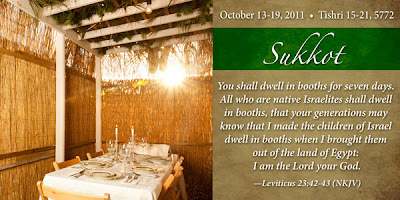 This is why some theologians speculate that Yeshua was born on Sukkot, the Feast of Tabernacles. Sukkot is the final wheat harvest of the year. 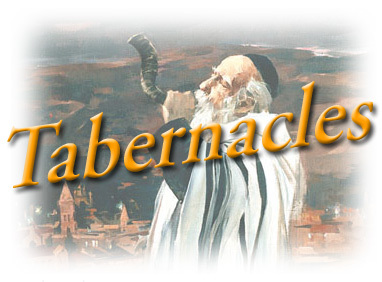 The Feast of Tabernacles is seen as symbolic of the final ingathering of souls into the Kingdom of God before Yeshua returns to Earth. This is what Matthew 24:31 is referring to when the angels gather God’s elect: “And he will send his angels with a loud trumpet call, and they will gather his elect from the four winds, from one end of the heavens to the other.” The final shofar blast is heard, signaling the final ingathering of all souls into the Kingdom of God. 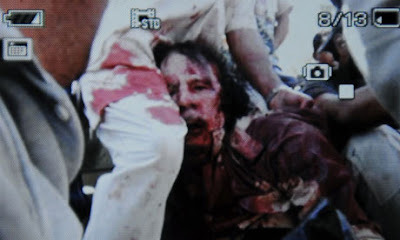 He is coming back for Jew and Gentile, one glorious redeemed community called by God for all eternity! Yom Kippur is the climax of the Yamim Noraim, the ten Days of Awe that began with Rosh Hashanah, the Feast of Trumpets. These days are considered a time for introspection and teshuvah—repentance, turning from sin, and making restitution—preparation for the Day of Atonement. The Jewish People seek forgiveness from God for their sins and to have their names written in the Book of Life for another year on Yom Kippur. Some Orthodox Jews, understanding that according to Leviticus 17:11, a blood sacrifice is needed for atonement, add a kaparot service, in which a chicken is sacrificed while asking forgiveness. This is similar to the biblical Scapegoat: “on this day atonement will be made for you, to cleanse you. Then, before the LORD, you will be clean from all your sins” (Leviticus 16:30). In the days when the Temple stood in Jerusalem, the High Priest would pronounce the Divine Name of God, which was otherwise never heard, and the people would prostrate themselves. He would then enter the Holy of Holies. This was the only day when the High Priest could enter this most sacred place to offer sacrifice for the entire community of Israel. 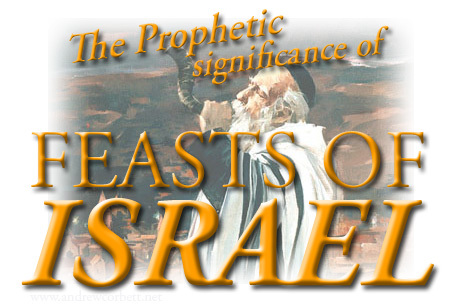 Although Messianic Jews have received the eternal atonement through the death and resurrection of Yeshua, and we know our names are written in the Lamb’s Book of Life, we generally fast along with all Israel and find this to be an extremely important time of intercession. Jewish hearts are turned toward God, seeking and contrite during this day as no other time during the year. This is a very pivotal and critical year for Israel. There is much unrest within—anti-government demonstrations, strikes, and civil division. Threats from without surround Israel also. The final status of Jerusalem as Israel’s undivided capital and Israel’s right to defensible borders is being challenged by nearly all world powers. Israel has lost nearly all key allies in the Middle East as radical Islamic regimes take hold and virulent anti-Semitism rises throughout the world. Yom Kippur is a very vulnerable time for Israel as the entire country shuts down for a high Sabbath. On Yom Kippur in 1973, Egypt and Syria led a massive surprise attack on Israel, nearly devastating this tiny nation. Hostile enemies once again surround Israel during this holiest of Sabbaths. • Pray for God to draw Jewish hearts to Himself during Yom Kippur, and to reveal Himself to those who are seeking Him. The Bible promises,” You will seek me and find me when you seek me with all your heart” (Jeremiah 29:13) and “I love those who love me, and those who seek me find me” (Proverbs 8:17). 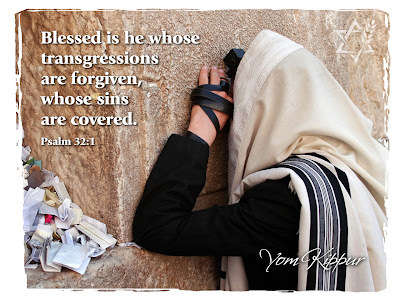 • Pray for Jewish People to develop a “divine discontent”—to cry out to God for more than a yearly covering of sin, that He would grant true atonement that only Messiah (Yeshua) can bring. • Pray for opportunities to share the Messiah with Jewish People who are hurting or have open hearts during this time. 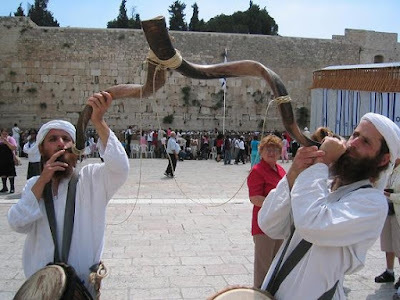 • Pray for divine protection over Israel through Yom Kippur. • Pray for Israel’s leaders to stand strong against world pressure to divide Jerusalem and the Land of Israel. 10 Tisjri. Jom Kipoer is de heiligste dag van het joodse jaar en daarmee de belangrijkste joodse feestdag. Op deze dag beslist God over het lot van de mensen in het komende jaar. Men belijdt zijn eigen en gemeenschappelijke zonden. Jom Kipoer of Grote Verzoendag wordt als de belangrijkste feestdag beschouwd in het jodendom. Het was de ene dag in het jaar, dat de hogepriester de allerheiligste plaats in de tempel te Jeruzalem betrad. Het feest wordt beschreven in Tenach en dus de Bijbel, in het boek Numeri (Bamidbar) 29:7. Op de avond van Jom Kipoer is er de Kol Nidree-dienst waarop het Kol Nidree-gebed wordt uitgesproken. In het gebed wordt spijt betuigd over de verkeerde daden die mensen in het voorgaande jaar hebben gedaan, de zonden ten aanzien van de Schepper. Het Aramese Kol Nidree betekent letterlijk: alle eden: men bezint zich ook over alle eden en beloftes waaraan men tekortgeschoten is, en spreekt de wens uit in het gebed dat waar dit het geval is, dit tenietgedaan mag worden. Dit betreft nooit geloften die tussen mensen gedaan zijn, zoals zaken die contractueel zijn vastgelegd, enkel zaken tussen de mens en de Schepper. Het besef en bekennen van het eigen falen staat tijdens Jom Kippoer centraal. In de Tenach staat beschreven, dat de hogepriester op deze dag een geitje offerde, en dat het lot een geitje koos om (symbolisch) de zonden te dragen van het volk, dat vervolgens de stad uit werd geleid en daar in de woestijn vrijgelaten werd. Het begrip zondebok dat de Nederlandse taal kent, en scape goat in het Engels, is afkomstig van dit ritueel. Diensten of onderdelen van de dienst op de dag zelf zijn de Sjachariet, de Moesaf, de Mincha en de slotdienst, de Ne'ila. Onderdeel van de dienst is de lezing van het boek Jona: de profeet Jona probeerde onder zijn verplichtingen ten aanzien van God uit te komen, wat hem niet lukte. Op Jom Kipoer wordt niet gewerkt. Verder wordt er gedurende meer dan een etmaal gevast, zowel wat eten als wat drinken betreft, en sober geleefd, men onthoudt zich ook van seksuele omgang. Het is gebruikelijk op de dag naar de synagoge te gaan, waar een lange dienst wordt gehouden die een groot deel van de dag duurt. Verder wordt veel witte kleding gedragen als symbool voor onschuld of zuiverheid. Ergens aan het einde van de dag is er een dodenherdenking. Vaak worden hierbij ook de slachtoffers van de sho'ah herdacht. Aan het eind van de dienst in de synagoge bij zonsondergang, de Ne'ila, wordt na het ne'ilagebed de lang aangehouden tekia op de sjofar geblazen. Hiermee wordt het feest besloten, en een soort nieuw begin ingeluid. "To wit, that God was in Christ (Yeshua), reconciling (atonement for) the world unto himself, not imputing their trespasses unto them; and hath committed unto us the word of reconciliation." "And He (Yeshua) is the propitiation (atonement) for our (the Jews) sins: and not for ours only, but also for the sins of the whole world (the non-Jews, gentiles)." Syrian President Bashar Assad warned western countries on Tuesday that if Syria comes under NATO attack it would fire missiles at Tel Aviv, Iranian semi-official news agency FARS reported. During a meeting with Turkish Foreign Minister Ahmad Davutoglu Assad allegedly threatened: "If a crazy measure is taken against Damascus, I will need not more than 6 hours to transfer hundreds of rockets and missiles to the Golan Heights to fire them at Tel Aviv." According to the report, Assad also reiterated that Damascus will call on Hezbollah to launch such an intensive rocket and missile attack on Israel. 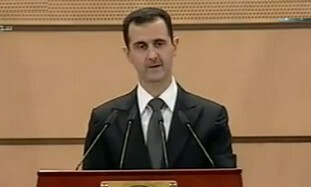 "All these events will happen in three hours, and in the following three hours, Iran will attack the US warships in the Persian Gulf and the US and European interests will be targeted simultaneously," Assad said, according to FARS. Volgens Westerse inlichtingendiensten hebben Syrië, Iran en Hezbollah een gezamenlijk plan opgesteld voor een gecoördineerde militaire operatie om heel Tel Aviv, dat zowel het financiële, industriële als culturele centrum van Israël is, met duizenden tegelijkertijd gelanceerde raketten van de kaart te vegen. Ook de Palestijnse terreurbewegingen Hamas en Jihad Islami zullen dan vanaf de Gazastrook raketaanvallen op Israël uitvoeren. Israëlische officials hebben dit dreigement nooit publiekelijk bekend gemaakt. Volgens Westerse inlichtingendiensten heeft Israël gereageerd met een tegendreigement: als er ook maar één Syrische raket in Tel Aviv explodeert, zal Damascus als eerste stad de volle prijs betalen en totaal worden verwoest. Als het raketoffensief dan toch doorgaat, dan zullen ook de andere Syrische steden één voor één aan de beurt komen. Tevens werd in de reactie verwezen naar de Israëlische minister van Defensie Ehud Barak, die eerder dit jaar Hezbollah waarschuwde dat als de islamitische terroristen het wagen raketten op Tel Aviv af te vuren, niet alleen Beirut, maar héél Libanon in vlammen zal opgaan. Assad kreeg toen te horen dat Syrië hetzelfde lot zal ondergaan als het meedoet met een raketoffensief tegen de joodse staat.